This important new book replaces the author's highly successful Practical Surveying and Computations and has been completely recast to accord with modern practices of geospatial surveying. Although much has changed in the profession of geospatial surveying, the same basic geometrical principles still apply - as does the need for instrumental calibration, its proper application, the suitable analysis of data and the presentation of results to users. Although the hands-on nature of day-to-day work has almost disappeared, to be replaced by rapid turnkey systems of amazing sophistication, the geospatial surveyor still has to plan and organise the work and above all remains responsible to the client for its outcome, and must be able to defend the work if necessary. Since most practical work is carried out by prescribed systems and processed by software packages, the book concentrates on those essential principles which the user needs to know, if the results are to be verified and assessed with understanding and wisdom. The text outlines the fundamentals of geospatial surveying including relevant worked examples that make liberal use of Excel spreadsheets. The mathematical treatment relates directly to those topics found in the author's successful textbook, Maths for Map Makers. 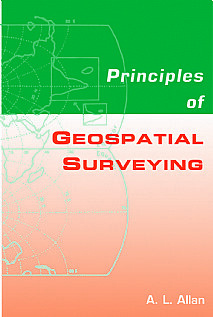 This book will fill the gap between elementary and advanced texts for students and professionals working in the fields of land and engineering surveying, applied geomatics, civil and industrial engineering and other geospatial applications such as building and structural monitoring, road accident appraisal and field sports adjudication.